Zack Williams, a senior studying communication and theater arts, drew inspiration for “Ward” from personal experiences. Stephen Caruso / Senior Staff Photographer. While directing a script about a first-year college student struggling with symptoms of depression, Zack Williams was trying to manage his own mental illness. 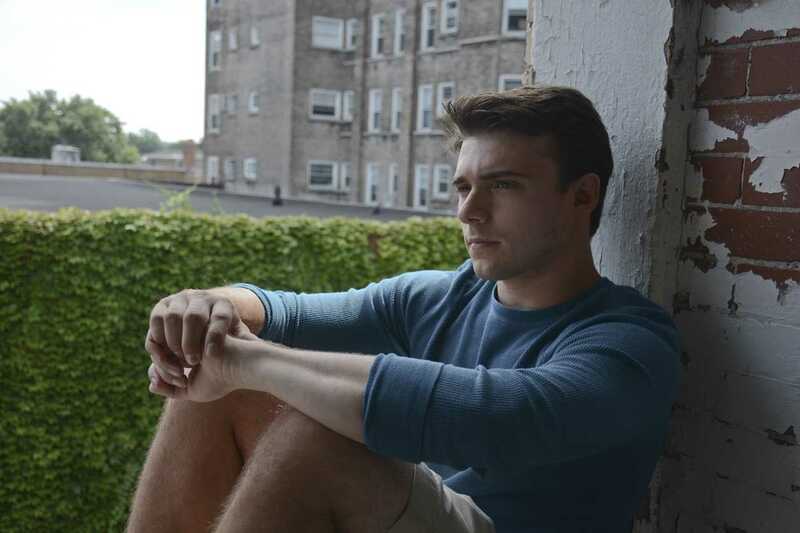 The senior communication major’s health fluctuated during the four months he spent filming a movie that takes place in the psychiatric unit of a hospital. Williams was told he might need to check into a facility himself — and did, once — but let the movie and the help of close friends motivate him through tough days. Williams pitched the film last fall to a group of filmmakers from UPTV, Pitt’s television station. The club members wanted to showcase their talent and ambition by independently creating a short film. The crew started an Indiegogo campaign, raised $900 and filmed over the summer. Williams and his cast and crew of roughly 20 members, began filming January 2016 and wrapped up May 1. Although the film is still in post-production, the final product is projected for release in October. The short film, “Ward,” explores the stigma around mental illness and humanizes those who live with it by following Andy, a first-year in college who is committed to a psychiatric unit in a hospital. There, she meets other people who help her learn to get in touch with her emotions and work toward recovery. Stephen Kraus, a recent Pitt grad, worked as the director of photography on “Ward,” and said the movie was the perfect project to finish his time at Pitt. In addition to writing and directing, Williams also composed the music for the film as well as acted as a minor character, Damian, who appears only in flashbacks and makes a brief appearance in the preview. One if the main intentions of the project is to start a much-needed conversation about mental health, according to Cassidy Davis, a Pitt alum who graduated May with a communication and digital media double major. In “Ward,” she plays the role of Dr. Jamison, the doctor at the psych ward. Williams first sought psychiatric help himself during his first year of college, and was soon misdiagnosed with Major Depression. Although he suffered similar experiences to the main character in “Ward,” Williams said the plot of the film is largely fictional with a dose of inspiration from his own life. “I’ve been struggling with how to treat my illness ever since [I was diagnosed], with some time periods being worse than others,” Williams said. During the last few weeks of filming, in real life, the depressive side of Williams’s illness worsened. After nearly being admitted to a hospital, there was some consideration with Williams’ doctors and loved ones that he give up directing. Instead, he chose to let his struggles become the motivation to finish filming before seeking treatment. The senior was also facing the typical challenges film directors often encounter: arranging the camera, lights, sound and wardrobe. “It’s very easy to get overwhelmed,” Williams said. After the crew re-shot some footage for the film in May, Williams — per the recommendation of his doctor — checked himself into a facility in Arizona to seek treatment for his illness after a harrowing semester. “The fact that [the facility] was so far away appealed to me because I really needed to get away and go somewhere I had never been before,” Williams added. After spending four weeks in Arizona, Williams returned to Pittsburgh in August to begin post-production. “Coming back and editing a film about a psychiatric hospital so shortly after being in one for a month was an offsetting and somewhat stressful experience, but I got through it and the material we shot held up beautifully,” Williams said. Williams said the crew is planning to partner with a mental health-related non-profit to premiere the film and is shooting for a public screening at a local Pittsburgh theater. He sees the film as the result of his journey, one that’s certainly not over.